Life is a bit hectic at the moment. Work is taking priority as we try to keep the wolf from the door and family commitments mean we do not have much time to concentrate on the blog or the allotment. The allotment is being maintained and I visit twice a day to water and open/close the polytunnel. i am also keeping it tidy and weeded but most projects have been put on hold for the time being until I have a little more time. We have taken over another tiny allotment which is going to house our Geodesic Dome and Aquaponics system. It has a few fruit trees and strawberry on the plot already and a lot of wood for building beds etc so there will be more info on this shortly. Where we were going to build the dome on the original plot is now going to be a pond to encourage frogs, toads and newts etc to aid in pest control and add biodiversity to the plot. The nettle tea is ready but I just need to bottle it and start using it. It will do wonders for the tomatoes etc. I have some features coming up on pests and weeds and how to deal with if you even have to deal with them at all. It turns out not all weed are bad for the garden and some are down right beneficial. Ans I am going to get started on a barrel garden and a wormery. So there is still a lot to look forward to at the tiny allotment. Thank you for your patience and I will be posting more soon. 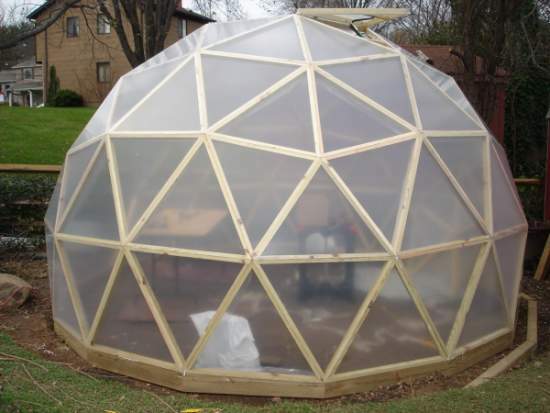 Categories: Frugal Living, Gardening, Self Reliance, Wombling | Tags: barrel garden, Geodesic Dome, Nettle Tea, polytunel, pond, wormery | Permalink.